Catching whoppers at night is all about vibration and that’s what Booyah's Moon Talker is all about. 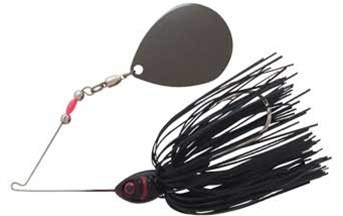 The Moon Talker Spinnerbait brings a deep-cup, black nickel #5 or #6 Colorado blade to the table, which can thump out enough of a beat to drum up any bass in the lake to close in fast! Don't cast at night without this nighttime producer.